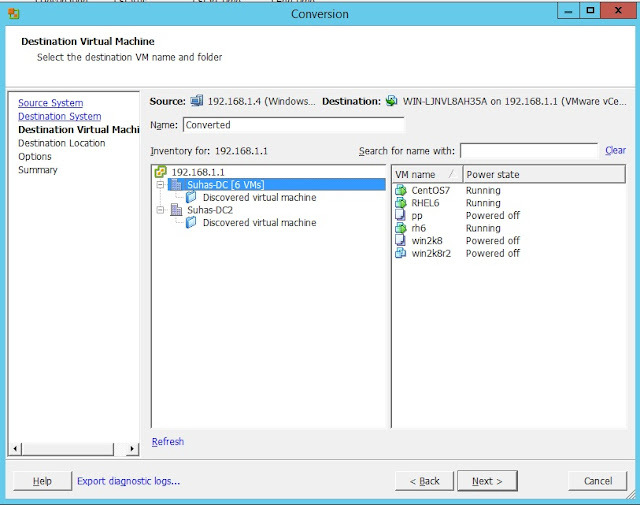 Let's say we want to resize the VMDK that is given to a virtual machine. By going into Edit Settings of the VM, we cannot decrease the disk size. 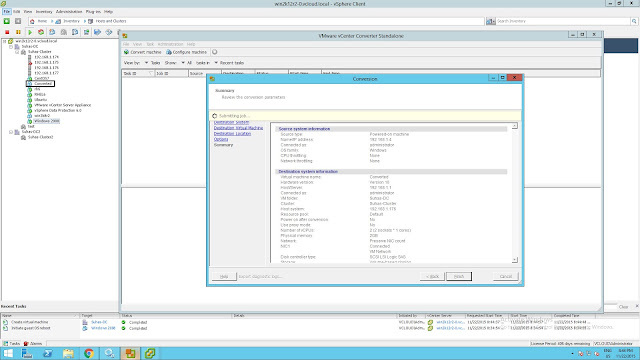 Changing the value with Edit Settings of the VM holds good if you are trying to increase the Guest's Disk space. If we want to shrink the VMDK, then it is best we use vCenter Converter Standalone. 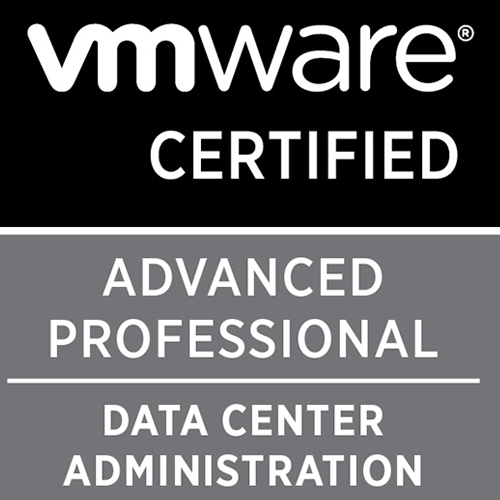 VMware vCenter Converter Standalone is used if you want to perform a physical to virtual conversion or if you want to convert a Virtual machine to a Virtual machine. Another important feature of this is, if you want to migrate a VM From Oracle VM Manager to vCenter, Converter Standalone can get this job done. 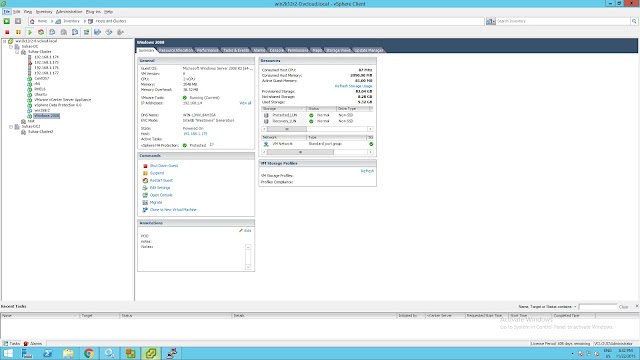 In this example here, I am using a 5.5 Update 3 vCenter with a 5.5 Update 3 ESXi host. 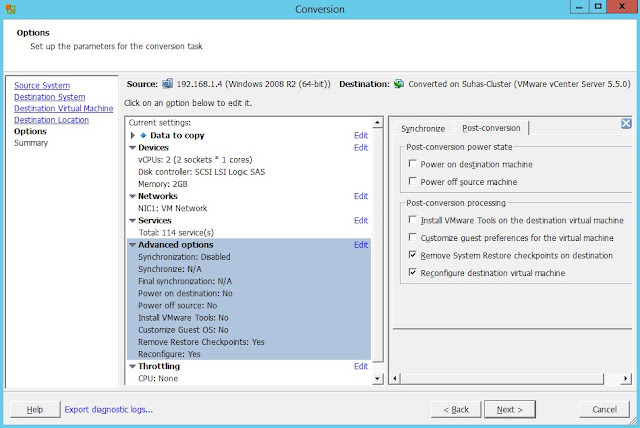 The converter version used here is 6.0 and the guest OS to be converted is Windows 2008 R2. You need to check the release notes of the converter to make sure that the converter supports the Guest OS of the machine that is about to be converted. 1. 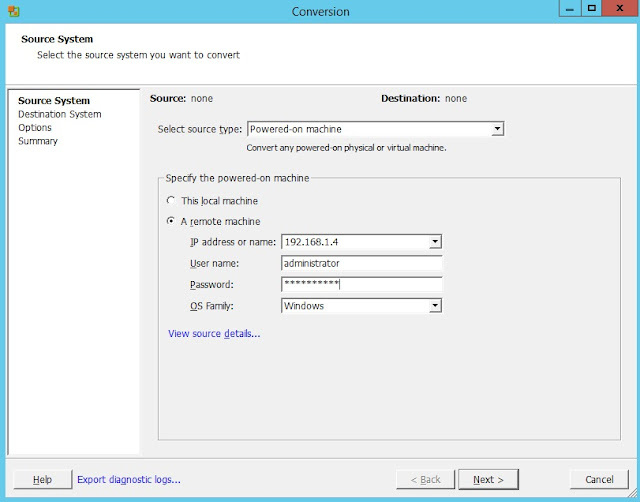 Open the vCenter Converter Standalone and select Convert machine. In my case I am converting a remote machine residing on vCenter, hence I am selecting a remote machine. 3. The next step is a destination machine. 4. Next you need to provide a name for the converted machine. Select a datacenter in your vCenter where this converted machine should reside. 5. 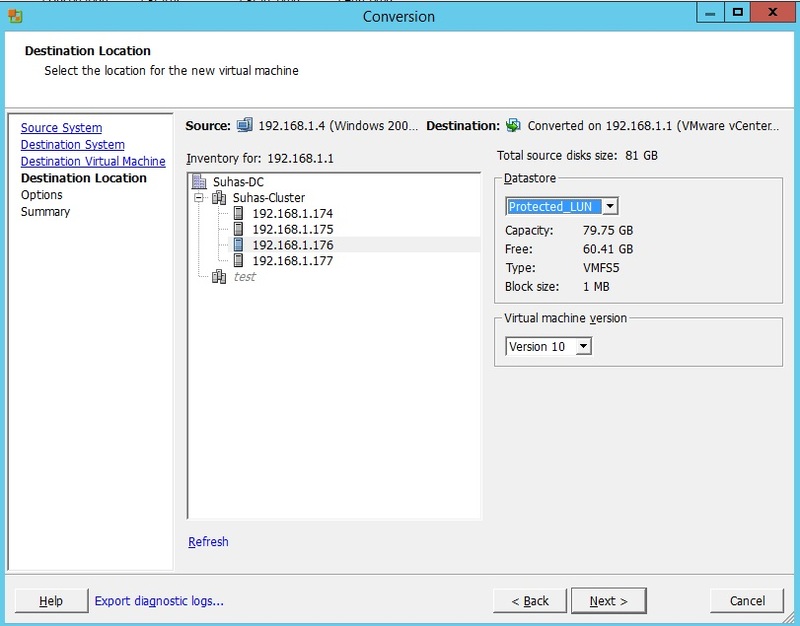 Next provide the ESXi host where to converted machine should reside. The datastore where it should be place and the hardware version of the machine. 6. Next step you have multiple options. 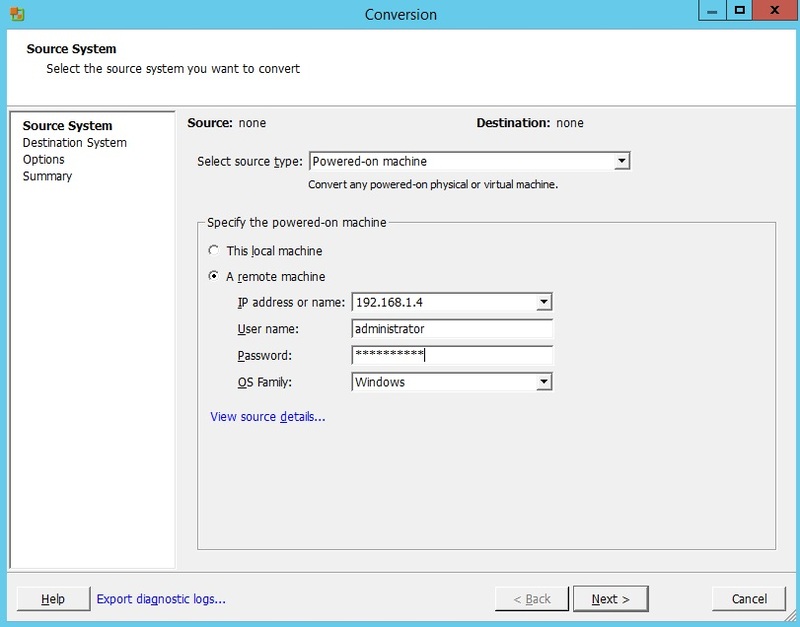 under data to copy you can resize the required Guest OS drive. You can resize one single disk, or all disks and even exclude certain disks from being available on the converted machine. 7. Under advanced option you can choose whether to Power ON the converted machine after conversion or Not to along with other options. 8. The last step is to review the configurations and begin conversion. 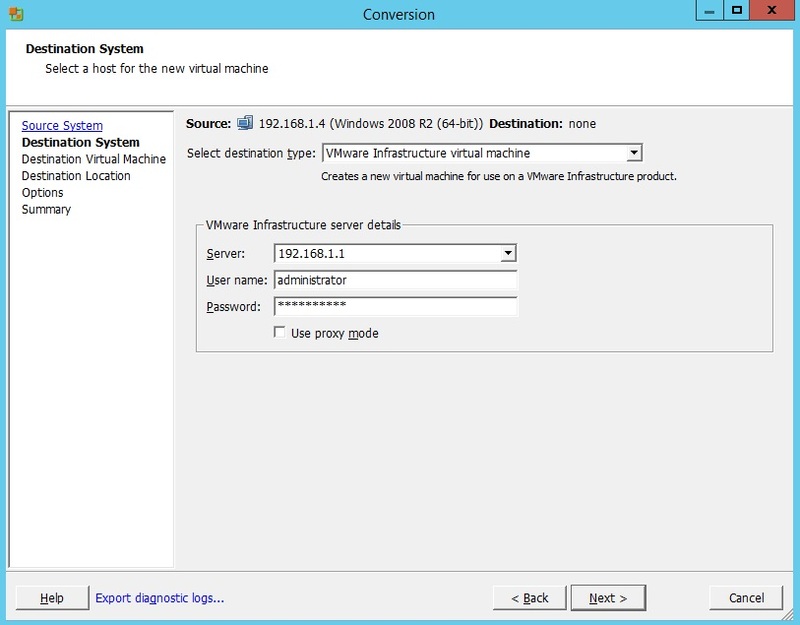 You can see after you begin conversion the converted machine is visible in your vCenter. 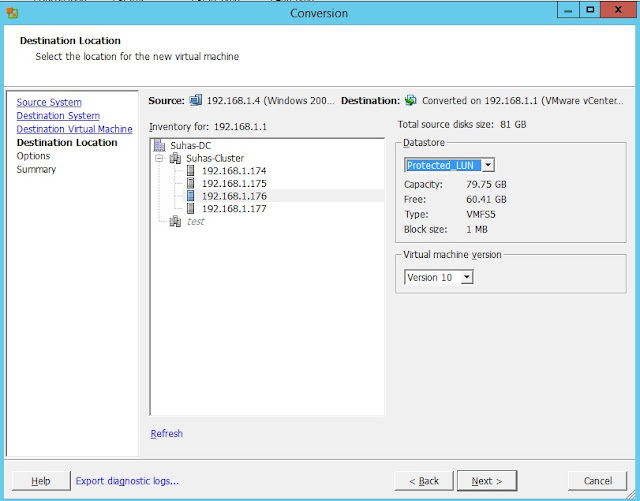 The conversion is going to take some time depending upon the number and size of the hard disk that is given to a virtual machine/physical machine.